This is a Darjeeling, Kalimpong and Gangtok package for 5 nights and 6 days by the Government sponsored Hill Stations of India tour programs. The highlights of the darjeeling Gangtok Kalimpong tour package is that you can visit the monasteries, tea garden at Darjeeling, enjoy trekking and other adventure activities, enjoy shopping at the market in Darjeeling and Gangtok and you can also visit to the refugee center at Darjeeling. Day 1 will see you arriving at Bagdogra airport or the New Jalpaiguri Railway Station near Darjeeling. You will be met and greeted by their representative and driven to the hotel in darjeeling and checked in. It will take about 4 hours by road to reach darjeeling by the spectacular route. Evening will be a leisure time for you to get adjusted to the climate and enjoy a good dinner and then rest overnight at the hotel. Day 2 you will be taken for sight seeing in Darjeeling to visit Ghoom Monastery, Batasia Loop, Zoological Park in Darjeeling, HMI, Ava art gallery, Tea Plantations, tibetan refugee center, Tenzing rock and race course then back to the hotel for dinner and the night stay. Day 3 You will be driven to Gangtok from Darjeeling after an early breakfast. The drive takes about 4 hours through the wonderful and spectacular sceneries on either side. 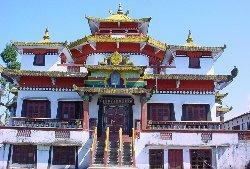 You will visit Rumtek monastery, enroute. You will be checked in the hotel after reaching Gangtok and in evening you will be taken for shopping at main market of Gangtok. The main shopping areas of the city of Gangtok are Lal market, Old market, New market where you can get handicrafts which are the popular items of the region. You can also see paintings, canvas, wall hanging, woollen carpets, jewellery and precious stones which are some of the items that tourists buy from the market. Day 4 will see you driving to Kalimpong from Gangtok which will take about 4 hours through the spectacular sights of the Himalayas. After an early breakfast, you will leave Gangtok and move along the blue colored Teesta river where you can also enjoy seeing River Raftersin action. You can also participate in that adventure at an extra cost. 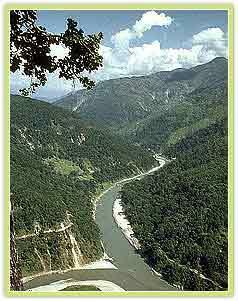 After Teesta river you will move on to Kalimpong. Day 5The trip covers the cactus nursery and the famous Zand Dog Palri monastery and in the evening, you can relax or go for shopping in the Kalimpong market. After the trip, you will return back to hotel for dinner and overnight stay. After having the breakfast, we will drive back to Bagdogra airport/ New Jalpaiguri railway station for the onwards journey. 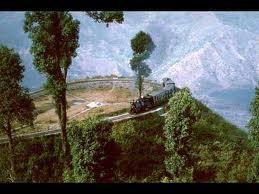 Darjeeling is the best and wonderful hill station, the greenery, plants, scenes of mountains are eye catching.